This exercise covers how to intercept an HTTPs connection.. The ISO for this exercise is only available with a "PentesterLab PRO" subscription. This exercise is part of the Intercept Badge. 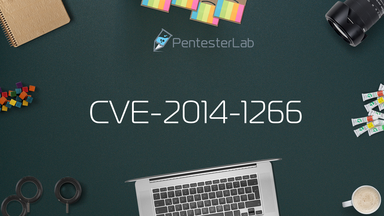 This ISO is online available with our "PentesterLab PRO" subscription. If you are using the ISO make sure you add an entry in your host file to match vulnerable with the VM IP address. If you are using the online system, replace 'vulnerable' with the hostname of the online exercise. PentesterLab is a simple hands-on way to learn web penetration testing.